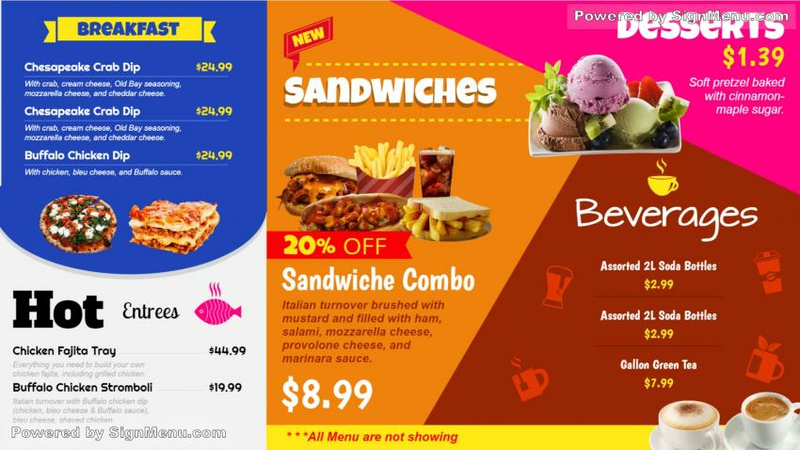 The restaurant menu board template is a multi-colored one with funny theme and fonts that will brighten up oneâs day. Everything is clearly depicted right from price to the dishes along with the special offer. Take any of the subscription offers to edit the template unlimited times and personalize it for the business.